The TRON project continues to run smoothly. Here is this week’s progress for all of our followers, supporters and believers. 1. On August 25, someone posted a picture of socks with TRON logo on Twitter and @ another user, attracting warm comments on the Internet. It is said that the socks are made by an enthusiastic netizen called “CrypToe_Man”. We can see from the picture that the socks are printed with TRON’s signature logo and TRX letters — it’s just like a walking advertisement. 2. On August 27, TRON has officially released the blockchain engineer recruitment poster. As a global public chain team with top technology, we are looking for extraordinarily creative and intelligent new members to join us. Let’s develop a faster, stronger and more stable decentralized distributed operation system together and strive to lead the future. 3. On August 28, the Japanese community made an official introduction video for TRON. In the video, the TRON mascot and the host introduced TRON to the Japanese community in detail through interviews. Now, we are making a second video. 4. On August 28, in order to celebrate the launch of the TVM official version, TRON official WeChat store has offered a “blockchain global ecosystem, 66.66RMB to the future” campaign for limited time. The offer started from 9am on August 30 and was warmly received. 5. On August 30, TRON hosted a live stream event on TRON Virtual Machine (TVM), witnessing the coming of a new era with supporters and believers around the world. Revolving around the TRON ecosystem, the live stream announced the launch of the TVM which is fully compatible with Ethereum. The TVM is based on EVM, but faster, cheaper, and more developer-friendly. 6. On August 30, TRON and Coindeal hold an event called Game of TRON. The 1st place can win 100,000 TRX; 2nd place, 50,000 TRX; 3rd place, 30,000 TRX; 4th place, 15,000 TRX; and 5th place, 5,000 TRX. Join the game now! 1. On August 26th, TRON officially announced SR candidate Cobo’s campaign profile. Cobo specializes in wallets for digital asset management, helping clients to store their assets safely. Its distinctive POS rewards feature can increase your asset value. 2. On August 27, TRON officially announced ERC20 coin burn. Including the TRX previously locked by the TRON Foundation, altogether 93,094,709,705.805225 ERC20 tokens were burned, which is 93.09% of the total 100 billion TRX issued. 3. On August 27, TRON officially issued a clarification on TRX coin burn and reward. Following the progress of the TRON network, participating in the governance of the network, and casting votes are the best ways for TRON supporters and believers to enhance the TRON network. The TRON Foundation will work with every supporter and believer to contribute to the development of the TRON network. 4. 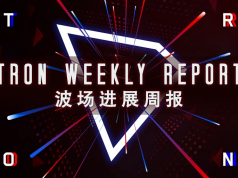 On August 28, Bixin Wallet announced its completion of TRON MainNet migration on its official website. 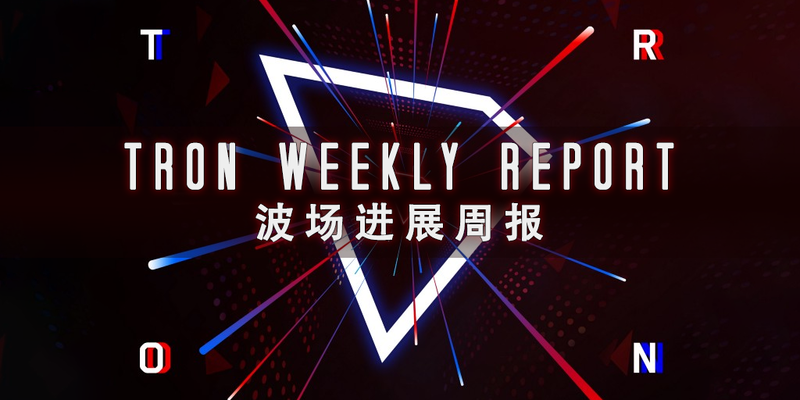 It has also resumed deposits and withdrawals of TRX on the TRON MainNet. 5. On August 29, famous Japanese blockchain vertical media platform BitTimes released an article introducing the TRON Virtual Machine (TVM). The TVM is a lightweight, Turing complete virtual machine devised for the development of TRON’s ecosystem. The TVM aims at providing millions of global developers with a specialized blockchain system that is efficient, developer-friendly, stable, secure, and easy to optimize. 6. On August 29, TRON’s founder Justin Sun’s Facebook followers have exceeded 800,000. The number is estimated to go over 1 million by the end of this quarter. His popularity is growing rapidly abroad. 1. On August 26, as of 18:30, according to BiShiJie.com, BTC, TRX, and ETH were the three most discussed tokens on Twitter in the previous hour. TRX ranked the second. 2. On August 27, it’s reported that TRX will soon be listed on KuCoin, which will offer TRX/BTC and TRX/ETH trading pairs. KuCoin is a global cryptocurrency exchange based in Singapore, aiming to provide convenient and highly secure digital assets transaction and transfer. 3. On August 30, TRX was listed on BTC-Alpha, offering TRX/USD and TRX/BTC trading pairs. BTC-Alpha is a simple, secure and 100% real-time online exchange for cryptocurrency based in London, the UK. 4. On August 31, TRX was listed on Coindeal, offering TRX/BTC trading pair. Originated from years of experience in cryptocurrency, one of their biggest assets is the combination of theoretical knowledge with practical experience in trading. Their passion for cryptocurrency and blockchain have enabled them to discern the future direction for cryptocurrency market. As a trading platform for cryptocurrency, CoinDeal aims at making new changes and providing the best user experience. 5. On August 31, TRX was listed on Bibox, offering TRX/BTC trading pair. Bibox is a leading high-quality digital asset exchange platform established by blockchain giants from China. It has innovatively stabilized transactions and simplified operations by introducing AI technology to digital asset exchange for the first time.